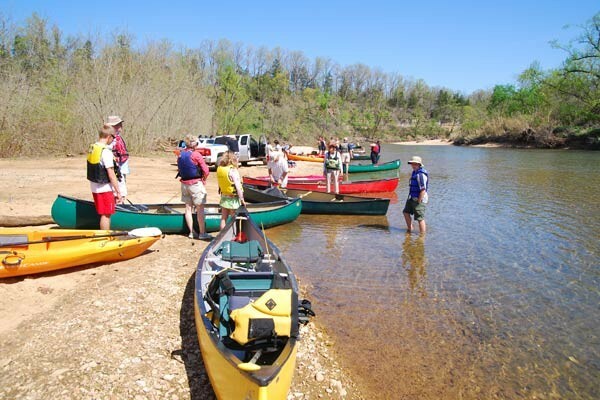 The Kings River is one of Arkansas’ iconic Ozark rivers, a favorite of anglers and paddlers alike. 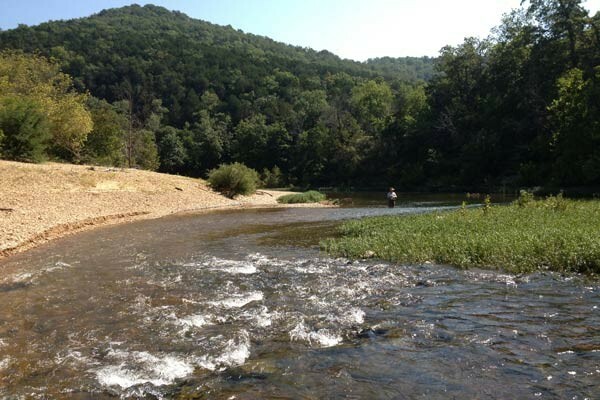 In addition to trophy small mouth bass, this beloved river provides habitat for more than a dozen rare aquatic animals. And now you can experience it first hand at The Nature Conservancy’s Kings River Deck House. 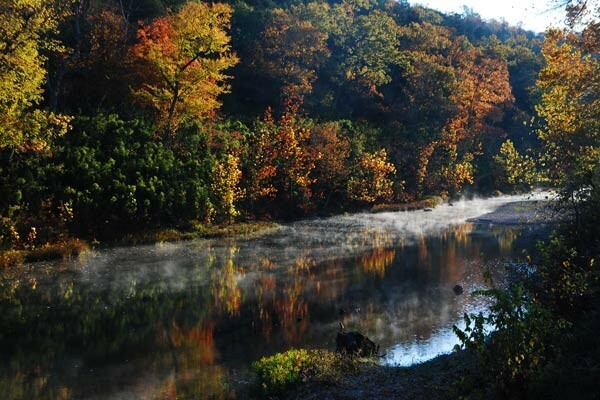 With the support of generous members, neighbors and partners, the Conservancy owns thousands of beautiful acres along 10 miles of the Kings River just south of Eureka Springs. 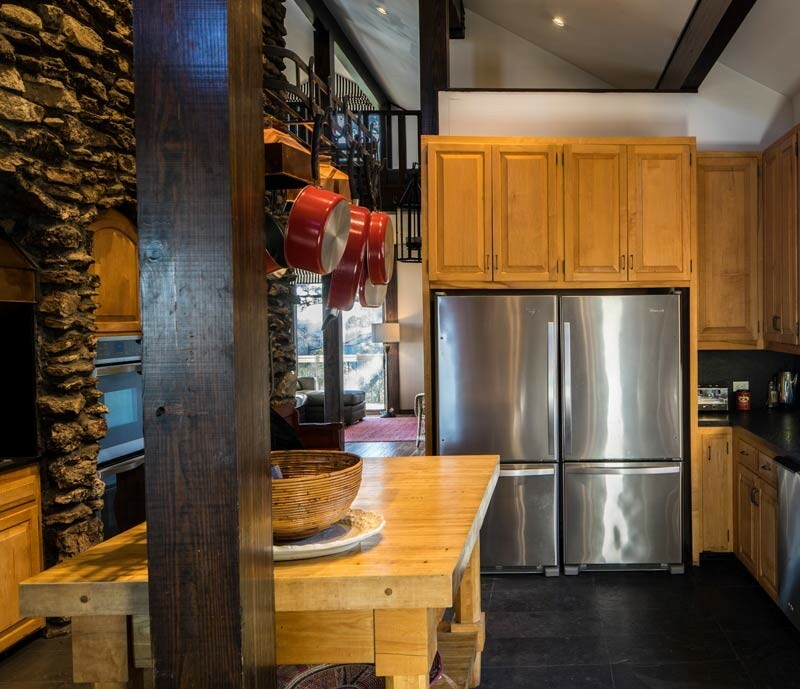 This Kings River vacation rental property includes a historic lodge and bungalows which are now available for rental. 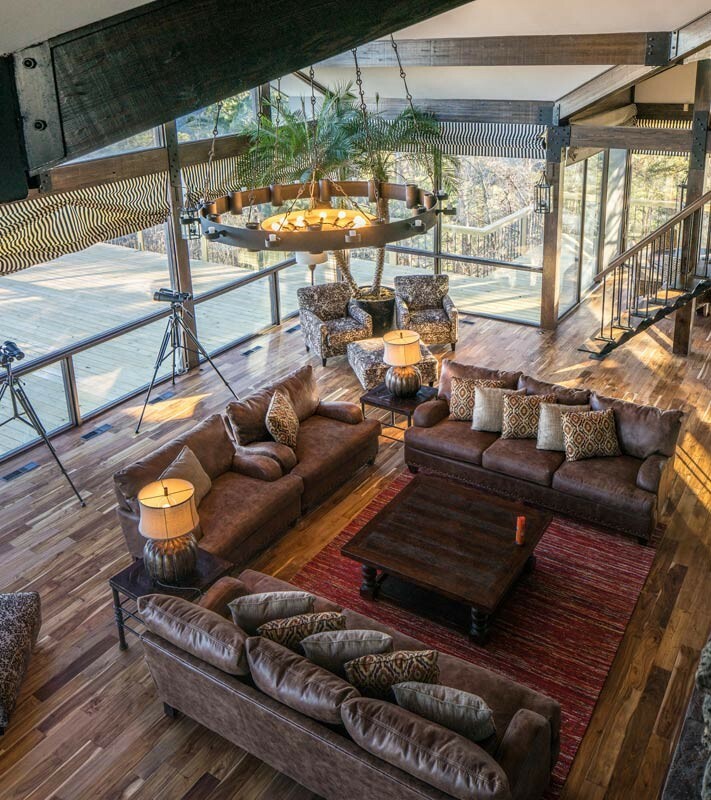 The Kings River Deck House is a fun, rustic setting for family reunions, corporate retreats, or a weekend getaway with friends. The historic deck house, secluded on a bluff overlooking the Kings River valley, was built as a retreat by the Liedtke family of Houston in 1970 and maintains the vintage character of its original mid-century modern design. 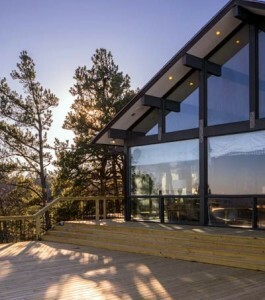 Complementing the deck house are two updated bungalows nestled in the woods. All accommodations include modern amenities for an enjoyable visit, but maintain their original charm…and all feature a gorgeous landscape right outside your door.